A number of market based solutions have been advanced to address dwindling biological diversity and the loss of healthy eco-systems. Efforts to save the rhino serve as a model to explore some of these approaches. Rhinos are one of the largest living land mammals and they symbolize humans’ deleterious impacts on the natural world. Rhinos are being hunted to extinction for their horns, which are considered to be a magical cure-all in some traditional Asian cultures. The trade in rhino horn is currently illegal, but one approach to address this problem strives to indulge the demand by farming them. The advantage to this approach is that the horn can be removed without killing the animal, thereby protecting the animal from extinction. As reported by savetherhino.org, at the beginning of the 20th century there were 500,000 rhinos across Africa and Asia. This fell to 70,000 by 1970 and further to just 29,000 in the wild today. In Asia, the Sumatran and Javan rhinos are critically endangered. There are fewer than 100 Sumatran rhinos left in the wild and only 35 – 45 Javan rhinos left. While deforestation, displacement by human settlements and the fragmentation of their habitats are threats to the rhinos, by far the greatest threat comes from poaching. While the numbers of some populations of rhinos have seen some modest increases, efforts to save these animals are being undermined by growing numbers of poachers lured by the lucrative demand. The International Rhino Foundation says that two rhinos a day are being poached in South Africa alone, and that number is growing. Susie Ellis, the executive director of the foundation said economics is driving the destruction of rhinos. Clearly, prohibitions against the legal sale of rhino horns have not worked. In fact it has driven up the price on the black market. Rhino horns are now more valuable than gold. Advocates of rhino farming say that we may be able to preserve the species by creating a legal industry. 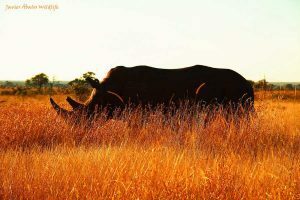 In response to the epidemic of poaching, Bloomberg reports that South Africa is considering legalizing the sale of rhino horn and authorizing commercial farming. They even suggest that rhino horn should be traded on the Johannesburg bourse. This approach was supported in a 2013 South African Department of Environmental Affairs report. Supporters believe that this is the best way of protecting animals and conserving the natural environment. Some say that there are parallels for this approach in agriculture and the farming of livestock. We already plant forests of fruit bearing trees. We remove the fruit without killing the tree. We also breed a wide range of animal species for human use. From food to clothing, animals are raised for our use. For example, sheep are sheared so that we can use their wool to make clothes and cows are raised to provide milk. A March, 2014, article titled Putting a Price on Nature, explained how the Global Economic Symposium, has proposed the concept of a “New Economy of Nature,” which advocates valuing natural resources. Other variations of this approach are known as payment for ecosystem services (PES), or payments for environmental services (or benefits). One of the most ubiquitous is known as natural capital accounting (NCA). This approach is supported by the World Bank and as they explained in an April 18th 2013 press release, a group of more than 60 countries have committed themselves to NCA. Some of the countries that support NCA include Australia, Canada, Colombia, Costa Rica, Denmark, Finland, France, Japan, Netherlands, Norway, Spain, Switzerland, and the United Kingdom. The World Bank supports NCA through a global partnership called WAVES (Wealth Accounting and the Valuation of Ecosystem Services). The WAVES partnership includes the United Nations Environment Programme, the United Nations Development Program, and the United Nations Statistical Commission. Participating countries want NCA to be part of the discussion on Sustainable Development Goals post-2015. These marketplace solutions to the unsustainable exploitation of the natural world have laudable objectives. The idea is to provide monetary incentives in exchange for managing aspects of the natural world. While the underlying aim of these approaches is to promote the conservation of natural resources and diminish environmental degradation, the actual impacts of such programs may not produce the ends they seek. As explored in a Yale 360 article, titled Whats Wrong with Putting a Price on Nature, there are a number of problems associated with PES. According to Kent H. Redford, an environmental consultant, we should not assume that old-style conservation methods have failed. He points to successes like state-sponsored protected areas which now cover 25 percent of the land in Costa Rica, 27 percent in the United States (at the federal level alone), 30 percent in Tanzania and Guatemala, and 50 percent in Belize. A study by Redford and William M. Adams, addresses the numerous difficulties associated with assigning a price to nature including what those values should be, who has the right to assign such values and who has the right to benefit. Ecosystem services are inherently difficult to price. The consideration of the rebound effect is insufficient. The primacy of economics over the environment is ensured. Markets offer little protection for the poorest people. Existing market mechanisms aimed at safeguarding the environment have not succeeded. The term, rhino horn economics encompasses maladaptive social constructs that drive insane levels of consumerism. It also deals with the psychology of assigning value to something that we really do not need. More specifically it focuses on the destructive ecological cost of unbridled demand. To bring it back to the rhino analogy, a living rhino has real value while the value of a harvested horn is entirely artificial (There is absolutely no evidence to indicate that they have any medicinal value or treat any disease or condition). While we attribute value to animal or plant byproducts that are essential for our survival, it becomes highly destructive when we attribute value to a product or service that does not meet real human needs. Once a largely western vice, increasing standards of living in the developing world are now seeing rising rates of consumption. This type of consumption threatens the survival of a wide range of species and habitats. The growing demand for rhino horn is a case in point. It is a cancerous outgrowth of the rapidly proliferating global society of consumers. While a market for rhino horn has existed for centuries in Asia, that market is now increasing exponentially. The growing disposable incomes of people in places like China and Vietnam is driving the growing demand. As a consequence, Rhino horn is now a sought after luxury item. Arguably our relationship to many goods and services are analogous to the demand for rhino horn. We are a global society of rapacious consumers who buy a great many things that we really need. Consumerism is driven by a steady barrage of adverstising that creates a demand for what we do not need. Surely if a solution exists it starts with serious questions about our actual as opposed to our perceived needs. Rather than indulging our rampant consumerism we must pear down our consumption. Based on this model we have unsustainably consumed vast quantities of resources and the rarer they get the more desirable they become. Rather than try to find ways of preserving current consumption patterns we need to question the underlying insane psychology of our unsustainable consumption patterns. This implies that we must also question the broken social constructs that feed into consumer behavior. As pointed out in the Redford and Adams study, when monetary values are assigned to nature they are likely to carry less weight when we reduce them to economics. 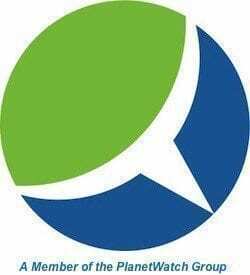 In effect we are cheapening nature when we frame it as a service provider fit to be incorporated into the global capital markets. Nature cannot be reduced to a commodity. We cannot monitize nature any more than we can monitize all the things make life worth living. Anything we do that reduces the natural world to monetary values detracts from its priceless intrinsic value. We need to understand that greed is at the crux of the environmental crises we face and we are doomed to fail if we premise our solutions on something so egregiously destructive. Now more than ever we need to rekindle our relationship to the natural world as the source of all value. Far from being our salvation, commoditizing nature is sure to divest us of the one thing that can save us from ourselves.